Why Accurate Figures Can Be The Defining Factor For Your Business? For any business, the importance of accurate figures cannot be underestimated. The numbers revealed through these figures play an important role in making decisions, planning strategies, determining success, and above all earning profits. 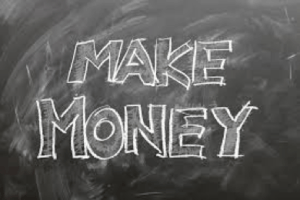 Making profits is the key to business success as profitability is a crucial factor for a successful business venture. Profit is the amount of money earned by a business after paying off expenses like tax returns, employees’ salary, inventory, equipment, etc. It simply states that a business can lose money and still keep going by drawing on previously accumulated cash reserves. But, many business owners often get confused when it comes to maintaining the profit they earn. However, keeping accurate business figures is beneficial when it comes to determining profit actually made. At Northants Accounting, we help you understand why accurate figures can be the defining factor for your business. As a business owner, you must be wondering why it is necessary to keep track of accurate figures if the business is already profitable. You may be right about it, but you need proof for investors, creditors, shareholders, and essentially for your personal records and peace of mind. Having a successful business is great, but seeing the facts and figures that prove your success is empowering. Here we have mentioned some points which show how accurate figures can benefit your business. Knowing Your Financial Situation: It is necessary for a business to know where it stands at the end of every month. Even the smallest numbers in a balance sheet can have a huge impact on the business. As a business owner, you have to keep track of several things and this includes asking yourself if you are making enough money, is your client base increasing or decreasing or how much money you have in your bank account. Managing your business accounts and keeping accurate records is the best remedy for your business’ financial health. 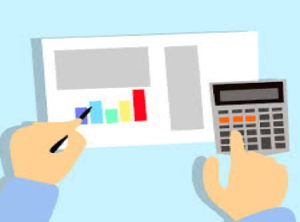 Evaluate Tax Liability: Corporate tax rates for companies are usually high and when companies make a lot of profit, the taxes they have to pay are equally high. Business owners are often astonished at how little they have left once they have paid taxes to the government. Every business owner always wants to reduce the tax burden and to do that they need the most accurate financial numbers possible. Keeping accurate figures will help businesses evaluate their tax liability. Compensation for Owners and Employees: The main goal of every business owner is to achieve and sustain profitability. Having a profitable company makes a business owner more creative. Creative marketing strategies can be implemented to beat the competition and earn more. As a business owner when you get such opportunities you will want to reward your talented employees, who were responsible for the newly acquired profits and had a role to play in adding to the overall business turnover. Identify Costly Mistakes: Keeping accurate figures will help identify mistakes which you made in the past. It also helps an owner detect theft, fraud, or illegal activities within their business. A business can hire a professional accountant or a bookkeeper to keep track these figures, but that doesn’t mean your involvement is not important in it. Impact on Stock Price: Investors or shareholders pay close attention to the price of shares. With an increase in shares, the profit of investors and shareholders also increases. This price of the shares is calculated by dividing the company’s net earnings minus any dividends paid to preferred shareholders. The steady increase in earnings per share often results in a rising price for the company’s stock. When companies start earning a higher profit, they seek new opportunities to build their customer base and increase their revenue. Keeping accurate figures helps companies earn profit which can then be utilised for future investment. If you’re a business and looking for accountants to manage your business accounts, then at Northants Accounting we can be of assistance. Get in touch with us today, to gain a better understanding on the accuracy of business figures and how to do it right!